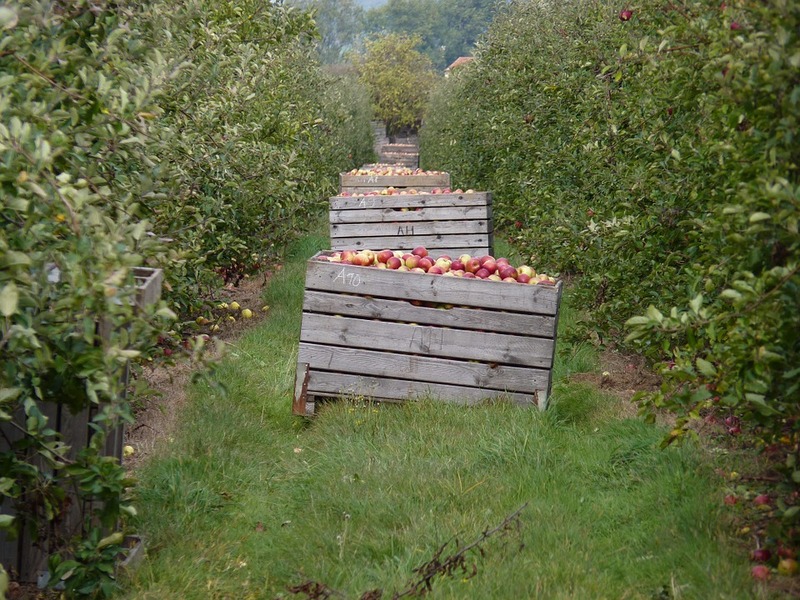 Travelers-farmers: a new face of sustainable agriculture! In a world where small realities, slow but intense development, good company and the pleasure to collaborate together sound like something that cannot achieve an optimal level of gain or success, the simple and daily examples of innovation are making the difference, indeed. An innovative idea came across the mind of courageous entrepreneurs to push again forward the boundaries of social innovation. In fact, if it is possible to think about sharing a car or a bike, or even a meal, why do not think about sharing work in a farm while having your vacation? This is exactly what is happening in some innovative Italian farmhouses where people can experience the beauty of farm life in exchange for room and board, as a free vacation. This is the new face of rural tourism, a way to rediscover regional traditions, to see how the products of excellence of our cuisine are born and grow, to learn what means the fieldwork. Some people prefer to live the experience with the whole family, staying in educational farms, designed to introduce children to the rural world and its rhythms, through play. Others decide to enjoy this adventure alone and to get their hands dirty. This is the case of the most extreme agro-travelers, who leave the city and go to the countryside to help the Bio farms for free, in exchange for room and board in Spartan facilities. WWOOF (World Wide opportunities on organic farms) is the network that represents them and that connects organic farms and available volunteers, just called wwoofers. One more chance to know people, cultures, environments, regions of the world and especially the techniques of natural agriculture. It’s plenty of these examples all over the Italian territory. At the ‘Oasi di Galbusera Bianca’, not far from Milan, you can participate in the collection of pears, apples, plums and herbs, while staying in a sustainable agricultural village, restored following the principles of bio-architecture, and surrounded by woods, hills and streams. At the ‘Fattoria Lara’, in Castiglione del Lago (PG), there is no lack of work, as you can cut wood during the olive harvest, and then plant, prune, and experience all kinds of related activities. The use of a small apartment with bathroom and kitchen is granted for all travelers. At the ‘Valli Unite di Costa Vescovato’ (AL), there is always need of help: for the grape harvest, cheese production, in organic fields’ cultivations. In a farm and petting zoo, near La Spezia, there are also forests to clean, vegetable gardens to hoe: a project that gives the possibility to teach children the secrets of the garden. There are also farms independent from WWOOF’s circuit, that during peak workloads do not disdain help in the campaign. All over Italy, from Lombardy and Piedmont to Sicily, there are many places that are happy to share with tourists their experiences and daily work, and where tourists can help and learn unexpectable things such as the olive harvest, but also take care of the animals or help in the kitchen for making jams and homemade pasta. And for those who prefer to make this experience with the whole family? There is plenty of choices. There are about 2,500 educational farms around Italy. Here the children can understand the main priciples of food sustainability. They can also learn how to make pizza, to hoe and plant the garden, to feed the animals, studying their social life, hierarchies and behavioural codes. Others instead prefer a softer experience in the countryside, learning something new, without sacrificing comfort and maybe staying in old houses or restored farms. You can then experience the collection of the delicate saffron flowers and of the olives, while participating in the harvest and in cooking workshops to learn to make bread or the ricotta for the cannoli. Surrounded by a landscape of rolling hills and plains interspersed with narrow gorges, all these experiences and good habits can be seen as a unique, great benefit for all: not only a way of remembering tradition and values, but also, and most of all, to learn again the joy of sharing experiences and collaborate for a good reason. In that case, it is completely free of charge but enormously profitable, something new that finds its roots in the olden days, something that teaches to both children and adults how to develop and spread sustainability and sharing values. All this before the rooster crows, of course! In un mondo dove le realtà più piccole, lo sviluppo lento ma intenso, la buona compagnia e il piacere di collaborare suonano come qualcosa che non può raggiungere un livello ottimale di guadagno e successo, esempi semplici e quotidiani di innovazione stanno facendo la differenza. Ad un gruppo di imprenditori coraggiosi è venuta in mente l’innovativa idea di condividere l’auto, la bicicletta. Perchè non pensare anche a condividere un’esperienza di lavoro in una fattoria mentre si è in vacanza? E’ ciò che sta accadendo in alcune fattorie italiane dove la gente può sperimentare la bellezza della vita di campagna in cambio di un alloggio. Recall for the 1st IASC (International Association for the Study of the Commons) Thematic Conference on the Urban Commons – no more utopia, but a purpose. A great Italian entrepreneur used to say: “The term utopia is the easiest way to sell off what you don’t want to, you don’t have the skill for or have the courage to do. A dream seems just a dream until you start somewhere and only then it becomes a purpose, which is something infinitely greater.” Purpose has begun to materialize from dreams with the upcoming 1st IASC (International Association for the Study of the Commons) Thematic Conference on the Urban Commons. Not long ago, the Urban Commons were just a thought, something indefinite and impalpable. Well, now we are at the crucial moment when scholars, researchers, policymakers, practitioners and social innovators are ready to join a one-of-a-kind committee, which creates a unique opportunity to conceptualize and develop the idea of the “urban commons”. The IASC Conference, named “ The City as a Commons: Reconceiving Urban Space, Common Goods And City Governance” is organized by LabGov in collaboration with Fordham University of New York and the International Center on Democracy and Democratization (ICEDD) of the LUISS University of Rome. The conference will take place in Bologna on 6-7 November 2015 and will be co-chaired by LabGov coordinator Prof. Christian Iaione (UniMarconi University and LUISS Guido Carli) and by Prof. Sheila Foster (Fordham University), a scholar who pioneered the conception of the urban commons.  The International Scientific Review Committee is composed by leading scholars in the field of urban commons, such as Tine De Moor (Utrecht University), Insa Theesfeld (Martin-Luther-Universität), Richard Burdett (London School of Economics), Paola Cannavò (Università della Calabria), Christian Borch (Copenhagen Business School), Leonardo Morlino (LUISS Guido Carli) and Ivana Pais (Università Cattolica del Sacro Cuore). Keynote speeches will be delivered by Tine De Moor (Utrecht University), Richard Sennett (London School of Economics, New York University), Silke Helfrich and Michel Bauwens (both from Commons Strategies Group). This unique conference and this prestigious committee mean something. They are signs that we are no longer talking about something that exists only in words or in theory. Indeed, the Urban Commons are already a reality. A reality, which has not been created by professors at school, but something that people—citizens— have made possible. The social innovation, the citizen’s participation, and the sharing economy have been applied to different fields of our life and are concretely creating new standards and paradigms of welfare, commons based cities, urban economy, and forms of governance. 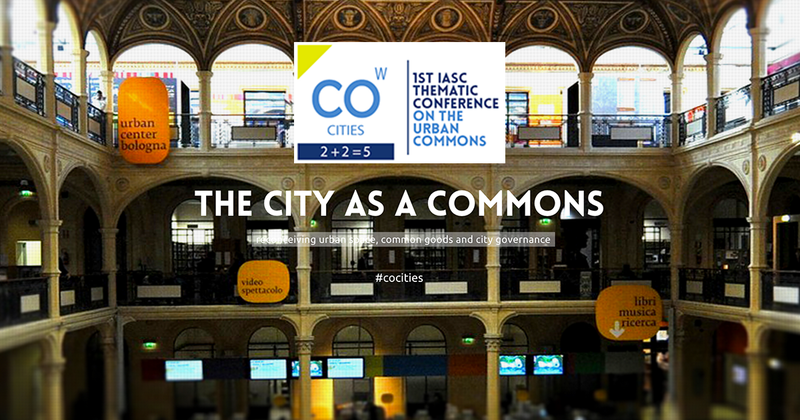 The 1st IASC Thematic Conference on the Urban Commons, will bring out questions, methodologies, and disciplinary approaches necessary to more concretely implement the challenges of urban commons in different fields. Urban Commons are not a utopia, and are even more than a purpose. They are something real. Something happening. By October 9th, presenters should confirm attendance by registering and paying the conference fee through the conference website and paper presenters should register here. Keep you neurones alive: learn the word “resilience”! Did you know that every 30 minutes you complain about problems, your problem solving neurones are passing away? That sounds incredible, but still dramatically true. The worst comes thinking that is not just one person, or two, or four people to have this kind of attitude. It is a sort of epidemic disease that brings people, and consequently the society, to complain when a crisis comes up. Why? Because complaining is just easier. We could say, as many already know, that word “crisis” has a double meaning, especially for the oriental cultures tradition. It means at same time “risk” and “opportunity”. Indeed, as history teaches us, when a situation arrives at its caos point and consequently to its saturation point, something has to change. At this moment, creativity and resilience take the stage. Nevertheless, without going deep in linguistic research, it is already illustrative itself the fact that when you complain, instead of having a problem solving predisposition, makes part of you literally dying. The crisis is part of our lives. Our grandparents had to face the war, our parents had to deal with the cold war and the flared trousers (and this explain many things). Anyway, our task is to deal with the crises whether you like it or not. The financial crises, the political crises, the economic crises, the security crises, the social one, the food security one, the communitarian, the job market, youth employment, the citizen participation, the public administration ones. So the next question I have is: do you want part of yourselves to die? Do we want to die? I can hazard a guess that the answer is no. In computer science, resilience is the ability of a system to adapt to the conditions of use and resist wear in order to guarantee the availability of the services provided. In ecology, resilience is the ability of a living material to repair itself after a damage, or that of a community or an ecosystem to return to its initial state after being subjected to a disturbance, which amended that state. Inpsychology, resiliencyis the abilityto respondpositivelyto thetraumatic eventsofhis lifepositivelyrearrangethe face of difficulties. 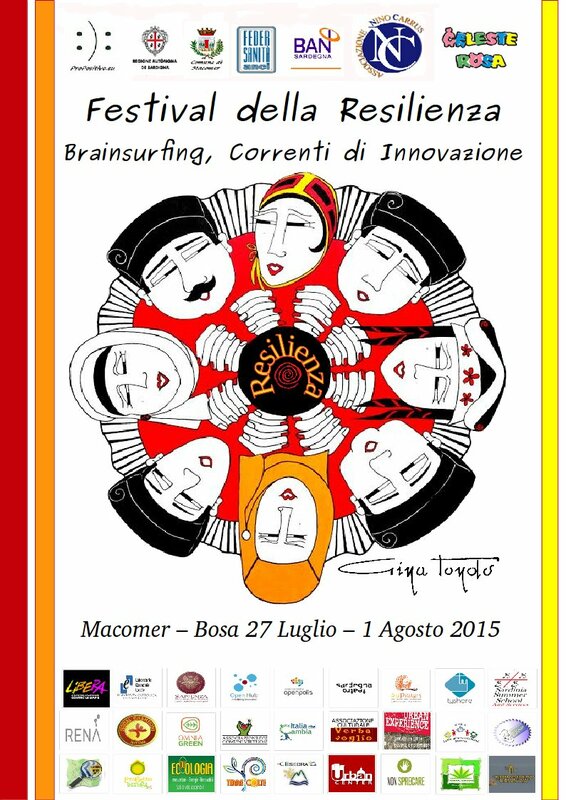 If it sounds good, it is better to know that from July 27th to August 1st, at Macomer, a little city in Sardinia (Italy) there will be the Festival of Resilience 2015. A group aged 20 to 30 years, all over Italy and the world, students and workers, realists and dreamers, has created the Propositivo project, which promotes the Festival. They have the intent to highlight the many examples of virtuous practices present on the territory, which share a vision of reality with a positive, innovative, sustainable and resilient attitude. The Festival will be focused on Sardinia territory. This trip will affect specifically the territory of Marghine-Planargia. This year the Festival aims to put together a team of experts at national level that can dialogue with the territory of central Sardinia and its protagonists, looking for new ideas to recover the local economy, rural tourism, participation and open government, in a resilient way. They want to start launching their project “Brainsurfing”: a week of traveling brainstorming to find the best proposal, which will be spread through the Festival and turned into concrete projects through the direct involvement of citizens. The creation of two days of cultural activities, theatrical, literary, musical and multimedia events. 6 days to get involved in what is our, in what is about us. 6 days to remember that we do have a brain and neurons that are actually made to create ideas, to make thing going better. If complaining is an epidemic disease, it is also true that resilience is a cure as much contagious as the crises is. Having a resilient attitude is not easy, for sure, but it is powerful. The kind of things that scares usually complains, which makes afraid that everything could really change. However, the very important thing to think about is: what will happen, if nothing changes? How many times did happen to you to be in a little station of a little town, with almost nobody around, in the Italian countryside in the middle of nowhere? It seems quite an unlikely scenario, in some fancy movie where the protagonists have just five euros, a backpack and one cigarette left, trying to get home. Unfortunately, this could potentially be the destiny reserved to everyone, who finds him/herself in one of the 1700 abandoned little stations in Italy. The country of the small towns, always hold up as far away from technological advances, seems now to have too many technological tools within medium and little train stations. Just for briefly recap what happened: the automation of the controls and their “out station” activation in a single center has imposed a different allocation of human resources. This is a typical case of how the development and upgrading of technology can undermine and revolutionize the organization of pre-existing work. The main output of the so-called C.T.C. (Centralized Traffic Control system) on the management of human resources, was precisely to replace personnel who served in circulation stations. Thanks to the technological innovation, medium and little stations are free from duties purely related to the railway, which became obsolete. They are now concentrated in few locations and carried out by a few men, with the help of computers. However, the new management carried out by more technological assets, indeed, does not mean that the stations have to remain without rail services, or that the lines have to be deleted, or that the railway stations have to be closed. These stations have still their traditional value of usage for the community: daily trains continue to arrive and departure again, the passengers continue to get on and off the trains, and to attend in the waiting halls, or to use the shelters. This poses new management problems of the vast real estate assets that the Ferrovie dello Stato (the Italian State Railway Agency) have to deal with. As already said the unstaffed stations are 1700 considering all the national territory. On the one hand, the giant costs of maintaining small stations all around Italy emerges, with all that this implies for the State. One the other hand, the traditional value of each station has to be considered with its functions for the community that everyday lives the station. When the resources are lacking but at list, some assets are available, there come in place energies and ideas. More than ever, the Kennedy’s way to say: “don’t ask what your country can do for you, but what you can do for your country”, seems to be the right path to follow. This is the reason of the agreement signed by the Ferrovie dello Stato and CSVnet – National Coordination Centers for Voluntary Services (March 14th 2013) – for developing innovative measures of social support of the whole country. 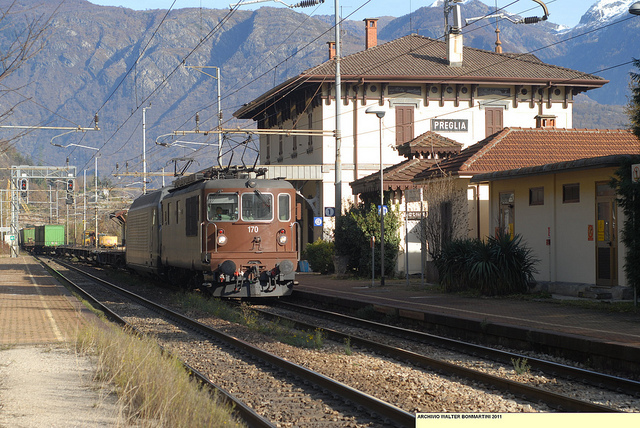 An action that is part of a Memorandum of UnderstandingsUs with some major associations (CSVnet, Italian Association for Responsible Tourism, Legambiente and Legacoopsociali) and through which the Ferrovie dello Stato intends to make an innovative system of management of unused real estate assets at National and European level. The idea is to give the disused spaces to the ones who would take care of them, in particular to volunteers’ associations, which have the right attitude and the need to have spaces where to operate with their social and communitarian projects. The agreement indeed, is about making these spaces available for meetings and promotion of volunteering. That is not all. The formula used to revitalize these areas is that of the contracts in free loan with a duration of 5 to 9 years: municipalities, local authorities and non-profit associations can use the stations to accommodate social activities, institutions, associations, and to initiate projects. This new way of management has a positive impact on the territory and the quality of the stations themselves. Thanks to the sale of loan, the community is enriched with service facilities and this guarantees at the same time positive effects in terms of quality and decor of the stations. Some examples of the implementation of this project date back to September 2014 and are continuously taking place. Lazzaro di Motta San Giovanni (Rc), location assigned to the Association “InHoltre“, will host a center with educational and recreational workshops for children with disabilities. 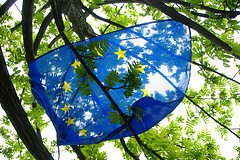 At Condofuri (Rc), the Association “Europa Unita” will organize daily activities of land conservation. At Maddaloni (Ce), assigned to the CSV of Caserta, it will be promoted voluntary activities on the territory. At the station of Pineto (Te), assigned to “non-profit Pros Pineto“, it will implement the social and health service transport, assistance and delivery of drugs at home in the province of Teramo. At Eboli (Sa), for example, inside the building of the former cargo warehouse it was opened a rehearsal room for local bands. These are just few of the stories that are bringing back to life the Italian railway stations. What is important to understand it is that in a situation of decline there might be an opportunity. Opportunities, as we saw, do not have costs. Instead, they have a variety of unexplored way of collaboration. It is not a news that cities are facing new and daily challenges to become smart cities. The term ‘smart’ has been described widely as a reality that involves the coordination of investments in human and social capital, sustainable economic development and a high quality of life, with a wise management of resources through participatory action and engagement. From these statements of experts and international organizations emerges this number of factors that can works only in a coordinate process. Indeed, The EU, Governments and associations such as Code for America consider the connection and collaboration among these elements, as new interdisciplinary opportunities to improve services and encourage development. However, what happens when this new wave of smartness, meets internet and technologies advances? Such new players in the path toward smart cities definitely enlarge geographical economic and social boundaries. Real time and worldwide are the parameters of measuring, and this contribute to create communities around collaborative the sharing economy where base of commons in code is larger than ever before. Users generated contents, even modern communication infrastructures foster the emergence of Bottom-up-Broadband networks, giving answers to the challenges that cities are dealing with, and most of the time cannot manage with traditional methods. A larger and deeper involvement of the community around commons goods seems to reduce the gap between the need of becoming smarter cities and offer to this demand, which is provided by citizens themselves. Thus, the combination among businesses, services, housing, leisure and lifestyle and ITCs, social involvement of citizens in public services, high technology used as a means to coordinate and facilitate urban growth, is the key to develop a network of people dedicated to making government services and cities simple, effective, and easy to use. This is about the development of collaborative web projects following the methodology of Code for America based on principles such as the empowerment of residents to take an active role in their community, the collaboration between government staff and foster forward-thinking approaches to solving city problems. These collaborative web projects will work by opening existing code in the participating cities and leveraging the European EPSI platform, following a certain model. In particular, web/mobile applications should enable cities to connect with their constituencies in ways that reduce administrative cost and engage citizens more effectively. This kind of support would help to move in the direction transparency and collaboration, and would be replicable for other cities. Exploring with users in real-life environments, new technologies, such as: Community networks, Sensor integration into Wi-Fi networks and fiber deployment as commons. The entire experience of the project will be capitalized by giving birth to two pan European organizations: Code for Europe and BuB for Europe that will carry further implementations of the project. This would mean making significant steps toward the idea that cities smartness is not only a common good itself, but also a European common good, and that each citizens could make the difference.